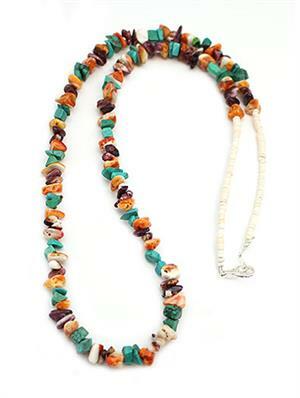 This necklace is strung using chinese turquoise, purple spiny and orange spiny oyster nuggets with clam shell heishi and silver plated findings. It measures 22" long and is Navajo hand crafted by Valarie Johnson. Only this one available.